If the digital nomad lifestyle is calling, you don’t have to fly halfway around the world to find your working paradise. Europe has some of the best digital nomad destinations around, so check out our top 5 list and see which one might suit you best. There’s no need to head halfway round the world to find your freelance paradise — some of the best cities for digital nomads are right here in Europe. 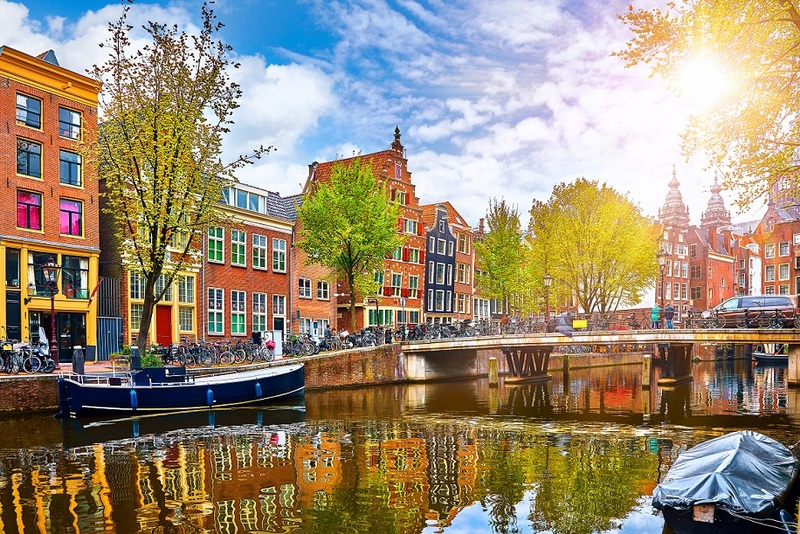 As well as being one of the most beautiful cities on Earth, Amsterdam has an excellent start-up culture and is the perfect place to start your flexible, digital lifestyle. The old image of Amsterdam being for drunken stag weekends has been replaced by that of a young, entrepreneurial city. English is widely spoken, and there are some excellent places for freelancers to work. Check out the library for free Wi-Fi, good coffee and an excellent view over the city. In response to Spain’s recent economic woes, Barcelona’s freelancer population — brimming with both locals and foreigners — has innovated to survive, meaning there are a host of exciting opportunities for the intrepid newbie. 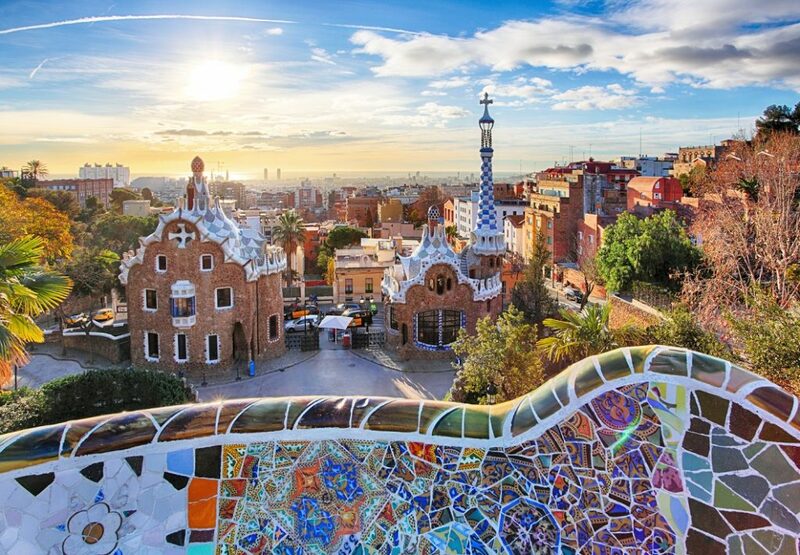 If you’re looking for the best work/life balance around, then Barcelona is the city for you. A thriving cultural scene is complemented by some heady party spots and, of course, the city’s famous beach. Europe’s capital of cool, Berlin is one of the most popular spots for digital nomads looking for a new adventure. The cost of living is still surprisingly low (at least when compared to London), the younger generation mostly speak English, and there is a refreshingly relaxed attitude to freelancing in public. Everyone knows about Berlin’s nightlife, with clubs like Berghain legendary throughout Europe. But Berlin offers plenty during the daytime, too, with its neighbourhoods bursting with art, fashion, and food. Capital of the Irish Republic, Dublin has long been a favourite for the weekend city break, but it could also be the next stop on your digital nomad journey. With its relatively intimate feel, Dublin is perfect if you’re looking for a balance of small-town charm with big city living. The steady stream of students and tourists keeps the city feeling young and, while it’s not the cheapest city on our list, everyone speaks English which makes settling in a lot easier. With its cobbled streets and Gothic architecture, it’s not hard to see why Prague has captivated visitors over the centuries. But these days, it’s enchanting a whole new type of person: the freelancer. Prague is the cheapest city on our list, but it offers a lot more than just savings. It has a burgeoning digital nomad population, attracting new arrivals all the time with its relaxed vibe and quality of life. And if you like beer, then where better to finish your working day with a pint? Where’s your favourite city in Europe for freelancing? This entry was posted in Blog and tagged flexible working, Freelancers, Homeworking, remote working, Self employed on 26th June 2018 by Julie Tucker.